Starting off with the Food Truck Festival on Saturday, May 2nd from noon to 6:00 PM, it’s that time of year to enjoy great food and drinks with friends and family. 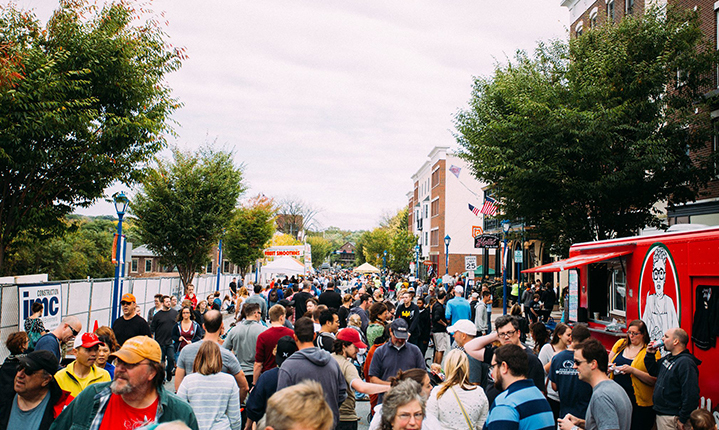 Bridge Street will be shut down between the 100 and 200 blocks to make way for 22 different food trucks that will serve up everything you could ask for and more! Bonjour Creperie, PB and U, GiGi & Big R, Jimmie’s Cupcake Company, Dia Doce Food Truck, Ka’Chi, Lulu’s Cafe On the Go, Heart Food Truck, Little Baby’s Ice Cream, Mr. D’s, The Happy Pita, Pbon’s Fresh Phood, Petrucci’s, The Taza Truck, Sum Pig Food Truck, The Sunflower Truck Stop, The Surf and Turf Truck, Mad Dash, Underground Donuts, Uncle Bs BBQ Shack, El Pilon Arepas, and Fresh Truck Bistro. Stella Jeane’s Festival Foods, Land of Olive Oil, M&N Funnel Cake, Made in the Shade Lemonade, The Bacon Jams, The Chef’s Duds, Butter Me Up Bakers, and MacDougall’s Irish Victory Cakes. Buttons & Bows/Stitch Yourself, String Thing Jewelry, PA Designs, Uzume’s Pots, and Susy Kamber. Send any questions to food@phoenixvillefoodfestival.com and we look forward to seeing you there. Remember that Restaurant Week starts Sunday! For more information click here.